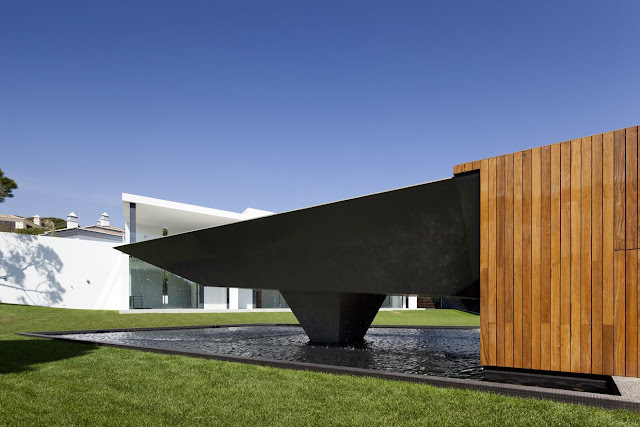 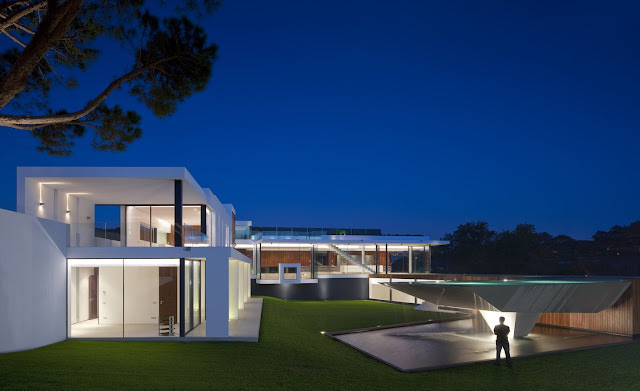 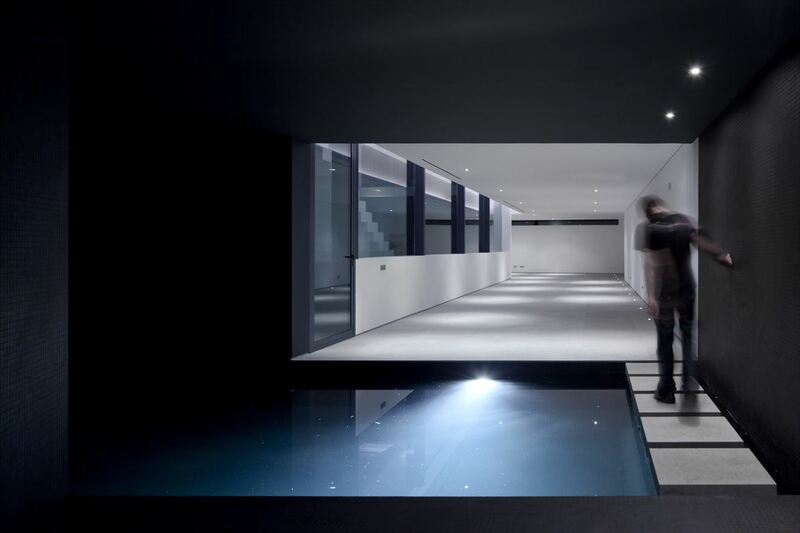 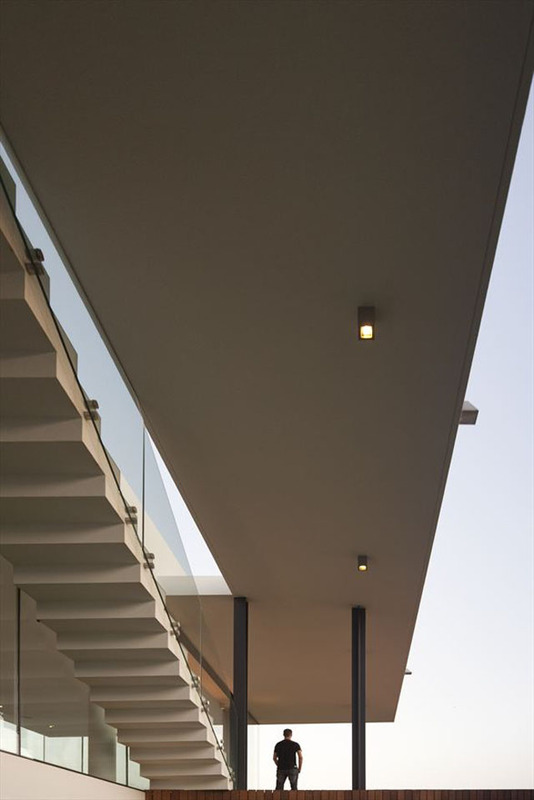 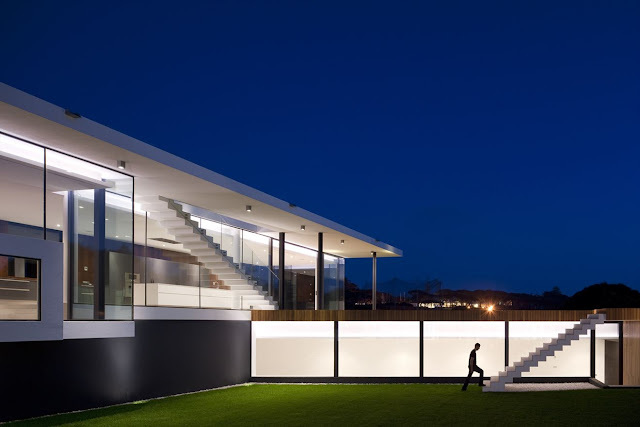 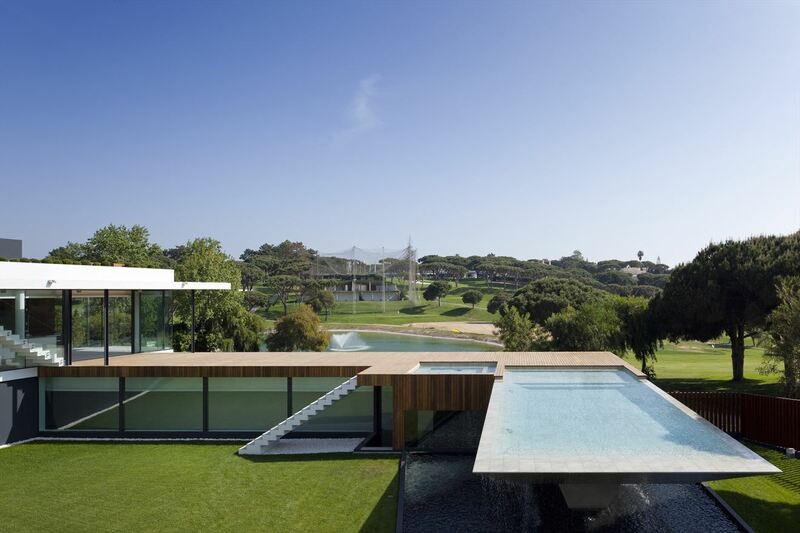 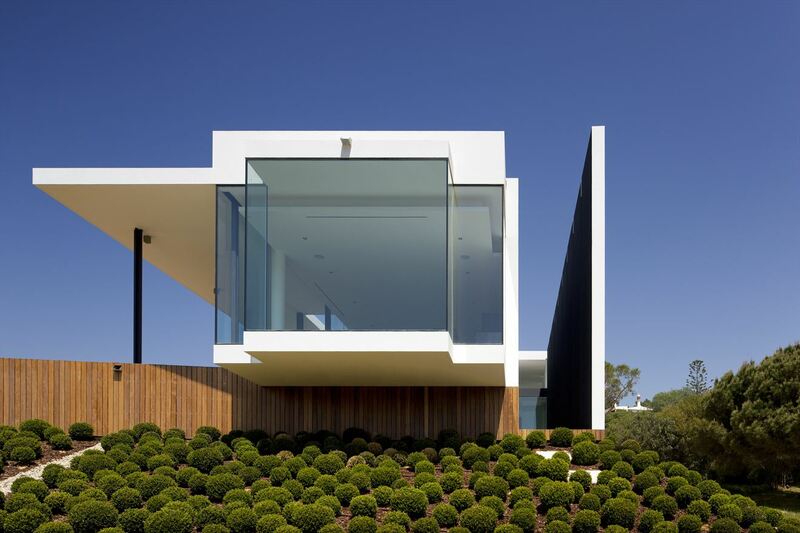 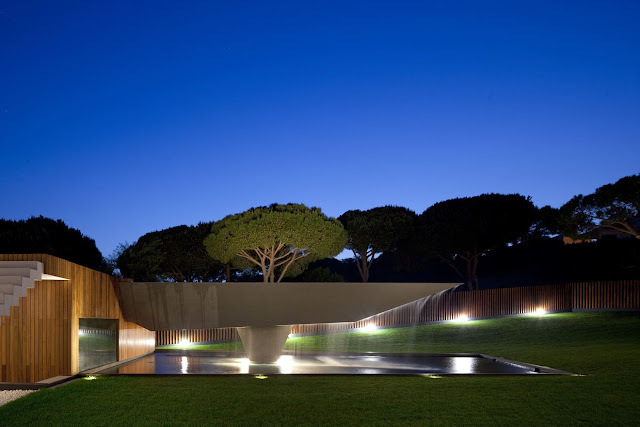 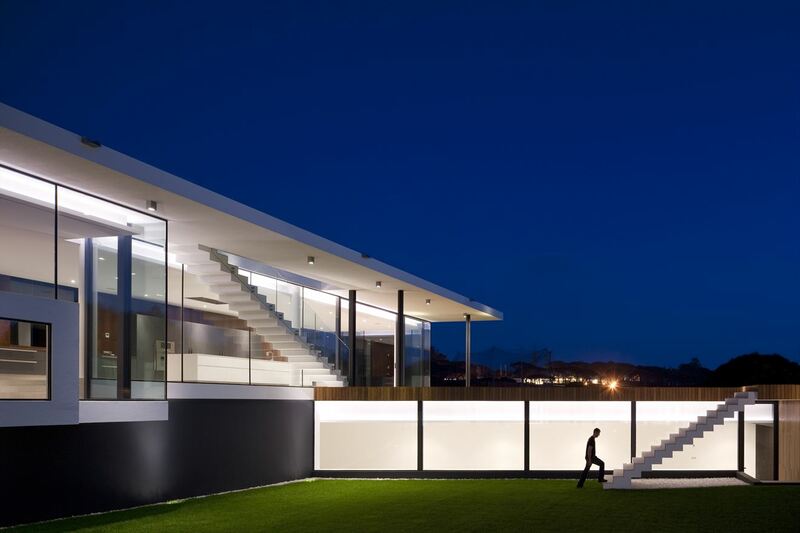 Arqui+ Arquitectura e Design is a practice located in the beautiful Algarve region of Portugal. 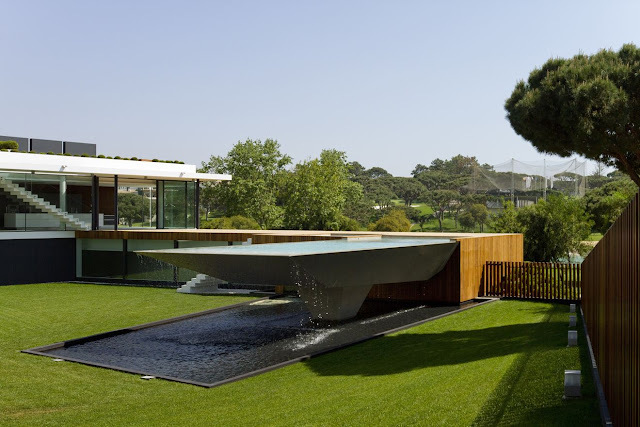 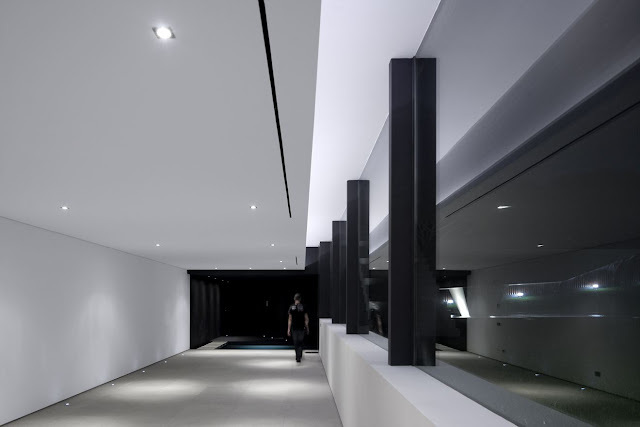 The firm is led by Architect Vasco Vieira. 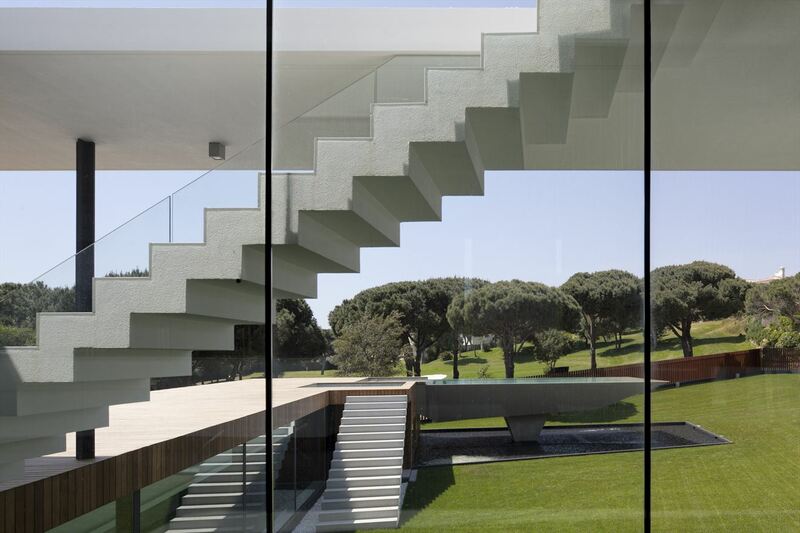 Arqui+ aims to change the face of the architecture in the Algarve searching for quality design and innovation, creating works that are completely contemporary, yet maintaining the essence of the Algarve with the use of material and quality of light employed. Their newest creation, Casa Vle do Lobo, is located in the south of the Algarve. From the 'U'-shaped floor plan, the villa is built around a central courtyard, while maintaining harmony and isolation from the surrounding landscape. 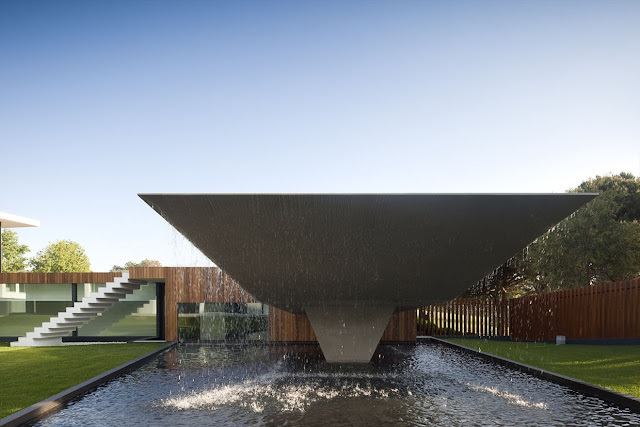 Inside the courtyard a sumptuous swimming pool becomes the focal point of the entire composition: a monumental suspended pool with water overflowing into a pool below, which can be used as a children's splash pool. 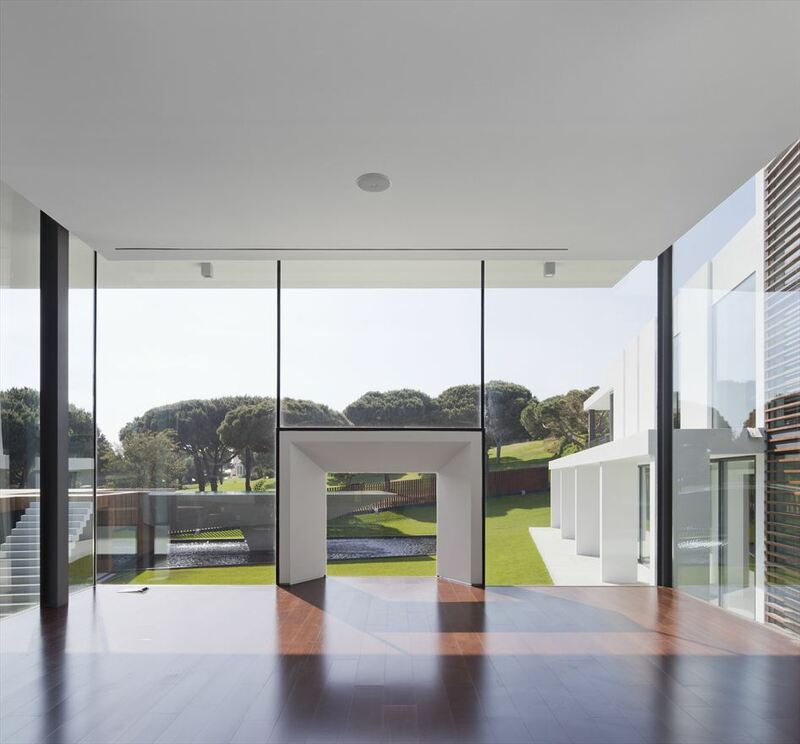 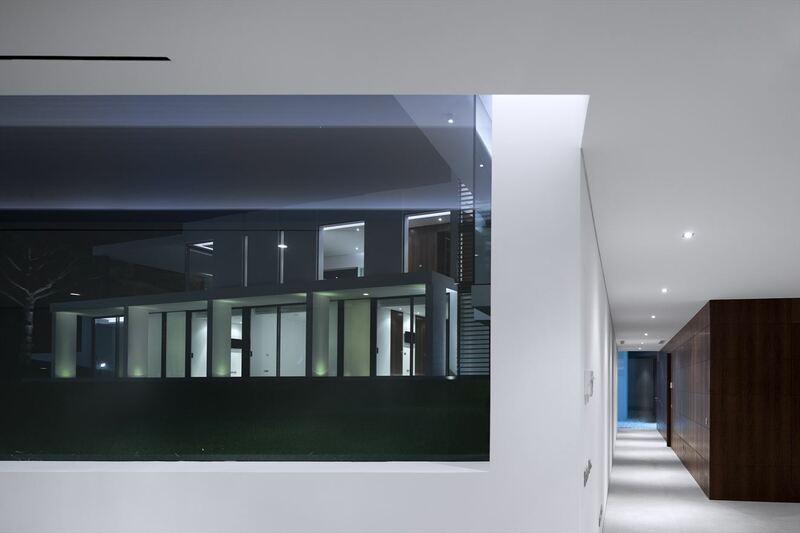 The outer shell of the house is defined by the pure and linear combination of white wood and glass panels which draw an alternation of transparent and opaque surfaces. 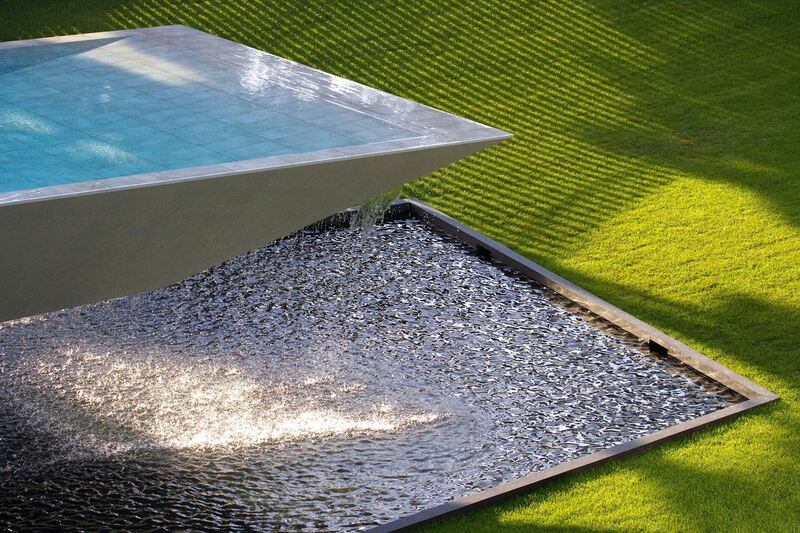 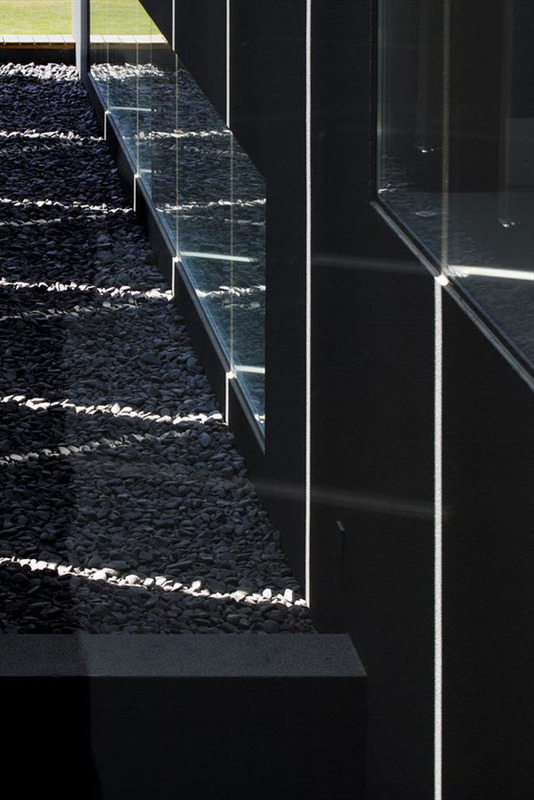 The geometric virtuosity of the shapes combined with the plays of water and light help to define an inviting atmosphere both inside the house and outside, which has already been enhanced by the surrounding green landscape.